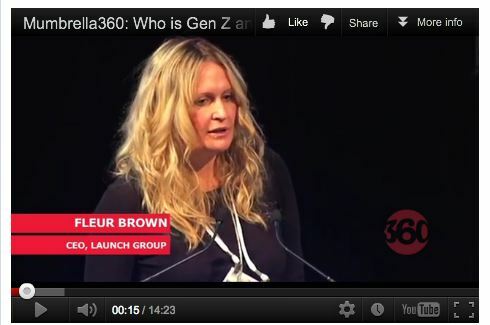 Mumbrella360: Who is Gen Z and why do we care? In a session at last year’s Mumbrella360, a panel discussed how the next generation of teenagers, Gen Z, is changing the way marketers and agencies comunicate with young consumers. The video highlights why Generation Z must be taken seriously, the role of social media in todays market and the 2010 Top Model winner debacle.